Welcome to DealDash’s “Great Christmas Gifts.” series – If you’re a person who struggles every year trying to think of gifts to get your family and friends, this series is for YOU! If you’re wondering what to get your wife, mother, or even grandmother this year for Christmas I would recommend a Dyson vacuum, from personal experience. 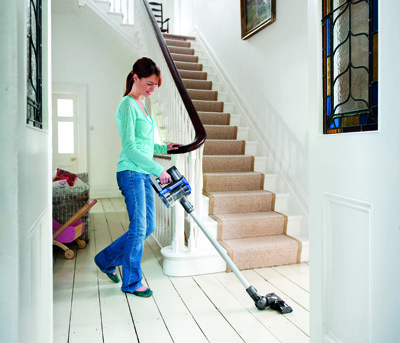 Dyson vacuums are some of the most awesomely powerful vacuums out there, and they can cut your housework time in half! You might be thinking “My wife would kill me if I gave her a vacuum for a Christmas present!” I wholeheartedly disagree, as the recipient of a Dyson Vacuum for my Christmas gift last year, it made me extremely happy. 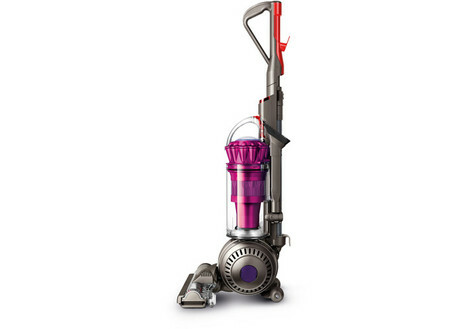 Not only is the Dyson vacuum a great workhorse that sames me time it’s also a beautiful purple and silver color. You might not think that the color of a household chore machine might matter, but I know that I am just a little bit happier when I use my purple Dyson than any other boring black vacuum that I have owned before. The actual Dyson company was started in 1993, but you might be surprised to know that James Dyson has been working on his vacuum designs since 1979! James Dyson’s vacuums were so well received that by 2009, Dyson began creating other air-powered technologies, such as the AirBlade hand drier (my favorite hand dryer, the only one that ever actually DRIES my hands), the Air Multiplier bladeless fan and Dyson Hot, the bladeless fan heater. Since I think that a Dyson vacuum would be a great gift for just about anyone who cleans their house on a regular basis, you might be interested to know that there are a few different kinds of Dyson vacuums, and luckily for you they available pretty frequently on DealDash. The Dyson vacuum that I am most familiar with is the Dyson DC41 Animal. The DC41 Animal is a Dyson Ball upright vacuum cleaner for all-around dirt and pet hair removal. The machine’s cleaner head has an active base plate, which self-adjusts automatically for optimal contact with all floor types. Which means that I can vacuum my hardwood floor kitchen and then transition to the family room which has a huge rug covering almost all of the floor without stopping to adjust the pile setting like on a regular vacuum since the cleaner head adjusts automatically. The other popular Dyson model that I have some experience with is the Dyson V6 Cordless vacuum. 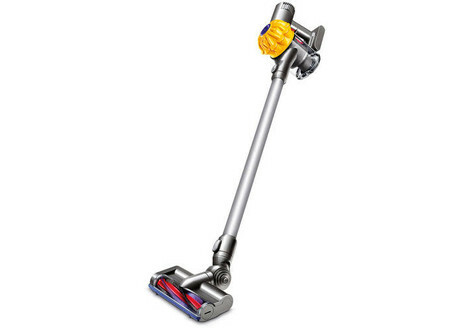 The Dyson V6 cordless vacuum gives you Dyson suction power without the hassle of a cord. Its motorized cleaner head cleans all floor types. My friend received this vacuum for her birthday and she loves it! It’s a great cleaner like a regular Dyson but you can easily carry it up and down the stairs to clean everywhere without lugging a vacuum. If you’re interested in either of the vacuums or any other Dysons or Dyson accessories check out this link here. Good luck and happy bidding everyone!